Why Choose Tallahassee Classical School? 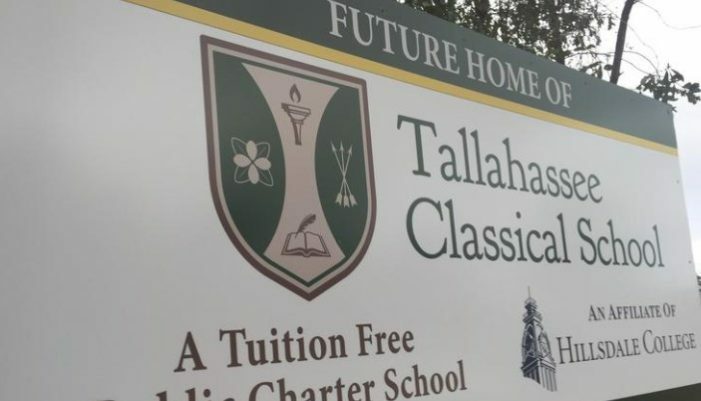 This August, approximately 450 students will begin studies at Tallahassee Classical School, Leon County’s newest tuition-free public charter school. With the first admissions lottery, my husband and I find ourselves in the fortunate position to choose whether our children will be among them. Charter schools justify their existence by offering alternative teaching methods and (presumably) enhanced results. This school is new to the community, so our decision merits careful thought. What is “classical education” and is it right for my kids? What we call “classical education” sprang from ancient Greek society and has been refined over 3,000 years of Western civilization. The Founding Fathers were “Renaissance men.” They were not only politicians, but writers, philosophers, and scientists. They had beautiful penmanship, kept current on scientific theory, and studied Latin manuscripts. Many played musical instruments and invented useful machines. The education of the time equipped them with the tools for learning, without limitation to a particular field. In the early 1900s, American public schools shifted the focus of education to meet utilitarian or work-related demands. Academic standards declined further in the 1960’s and 70’s, giving us the popular idiom “underwater basket weaving.” The current resurgence of classical education hails a return to traditional, objective standards of truth, logic, and excellence. The underlying assumption in modern schools seems to be that children regard their studies with disdain. Frenetic efforts to “make learning fun” sometimes fail to convey useful knowledge. Key concepts are eclipsed by games or gimmicks employed during the lesson. A typical third grader may have concocted slime three times in the name of ”science,” yet has no clue about the variable viscosity of non-Newtonian fluids. Clearly, most nine-year-olds won’t fully grasp the concept, but mention it anyway. A few will get it. A few more will recognize the terms next time. Classical schools approach learning with a certain formality. Classroom discussions incorporate scholarly vocabulary and encourage intellectual curiosity. Compulsory uniforms remove distraction and foster mutual respect. Lessons do include fun activities, but the methods have been refined over centuries to transcend fads. Classical educators work from the assumption that children want to learn. By studying classical literature, each generation joins what Mortimer Adler called “The Great Conversation.” This dialogue, ongoing for centuries, explores our humanity and deepens our understanding of the world. My little boy loves to make me cringe with his library selections. I feign disgust for “Fly Guy” or “SpongeBob” to heighten his delight, but in school, reading material should expand his horizons. I’d like him to hear his classmates’ thoughts on the books they’re reading and share his own — not just pass a computerized quiz, collect points, and move on. Importantly, classical educators do not study literature in isolation. The curriculum uses history as its structure to explore links between fields. As the literature class examines great works of a period, the math and science lessons explore theories developed concurrently, and the history lesson puts it all into larger context. Classical education is commonly described as “language-focused.” This means that knowledge is conveyed primarily via written or spoken words. Learning through language demands a high level of mental engagement. A classical teacher may use an educational video to give students a broad understanding, but she recognizes the limitations of passive learning. Reading from the written page, synthesizing new information, organizing it into useful form — these active processes develop deeper understanding. Continual school fundraisers for “more technology” frustrate many parents who would in fact like to see less. Finally, our assessment of this option for our children would be remiss without considering the cautionary tales of charter school failures. It is important to distinguish between a locally run, non-profit charter such as TCS and the centrally-managed, profit-generating charters that have a somewhat tarnished record. The founders of TCS are members of our community. Their children will attend this school. They have affiliated with the Hillsdale College Barney Charter School Initiative, which provides support for 21 classical academies in the U.S.
I’m thankful to the dedicated team that has created this opportunity for Tallahassee children. I will jump in with both feet — and both kids — to do my part to ensure the success of Tallahassee Classical School. *Priscilla West holds a B.S. in Chemical Engineering from Louisiana State University. She worked as a refinery engineer for four years before ditching the flame-retardant coveralls to become a commodities trader. 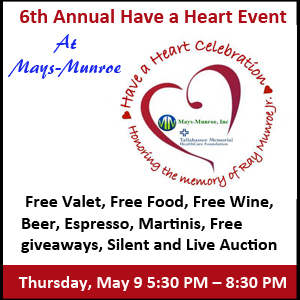 She traded petroleum fuels for 10 years with Major Oil companies in Oklahoma, Venezuela, Connecticut, and Barbados. She formed a consultancy to provide fuel brokerage services to power consumers in the US Gulf coast and Caribbean region for six years before accepting her latest and most challenging position as full-time mom. **Interested parents should consult the “Educational Philosophy & Recommended Reading” section of the Hillsdale College Barney Charter School Initiative website. One Response to "Why Choose Tallahassee Classical School?" This sounds most intriguing and if we had school age children, we would be seriously considering this option versus the “regular school” choices which in our opinion, leave much to be desired!